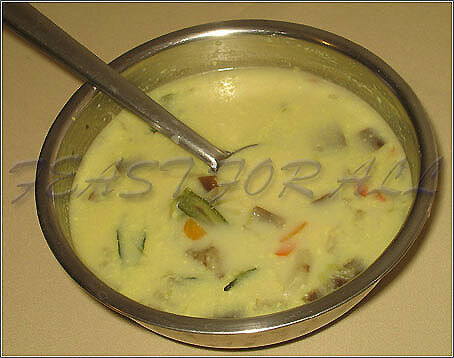 Sothi is used as a side dish for idiyappam. Combination and amount of the above vegetables can be changed according to taste. Put all the vegetables, onion and green chili in a saucepan and add water and cook on a medium flame for about 15 minutes or until the vegetables are tender.